Weather-Tek Windows & Doors is a leading supplier of windows, doors and skylights to discerning builders, architects and remodelers throughout southeast Wisconsin. 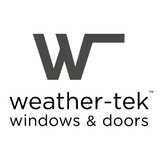 Since 1991, Weather-Tek Windows & Doors has provided both commercial and residential customers quality products, backed by a level of personalized, value-added service and support they just can’t get from the lumberyards. Weather-Tek Design Center offers a full range of proven window and door solutions from the most respected names in the industry. We also earned a commanding presence in the commercial skylight marketplace with our full line of products. Donovan Mirror and Glass (DMG) has been in business for over 48 years. Our high-end showroom in Southeastern Wisconsin displays all of the most up to date products, be it shower doors, mirrors, or any other miscellaneous glass products. We are conveniently located on Bluemound Road in Brookfield, WI. DMG has a long history of providing quality service to its customers and getting the job done right the first time. We start this process with good communication and pre-calling for all scheduling. Our measure lead-time is a week or less. Semi-frameless doors can be completed 2-3 weeks from the time of the measure. All of our custom and heavy glass shower doors have a completion time of only 2-½ to 3 weeks from the time of measure and our large inventory of preassembled doors can usually be installed within 24 hours. We carry a huge inventory of stock polished edge mirrors and all of our custom cut mirrors are hand or machine polished in our shop or on the job site. There are seven trucks in our fleet, and of our nine employees, eight of them have been with us for 10+ years. We warranty all of our products and, when necessary, eagerly provide service for difficult work. Complimentary care kits are included with every custom shower door. If someone in New Berlin, WI needs the services of a responsive locksmith, they often rely on the services of New Berlin Locksmith Master. Give us the chance to show you what sets our locksmith services apart from the other locksmiths in New Berlin. When you need an automotive, emergency, residential or commercial locksmith, give us a call and let us take care of your service needs. The only way to be sure that you won’t be throwing away your hard earned money is to rely on our locksmiths in New Berlin. They have received the best training and have more than a decade of industry experience. When you care about the quality of service that is offered to you, make sure you do yourself a favor by turning to New Berlin Locksmith Master. Our locksmiths are bonded, licensed and insured. They are well-qualified to provide you with the help that you need. We have all that we need to effectively produce the results that you want. If you care about the quality of services that you receive, do yourself a favor by relying on our locksmiths for your service needs. With a team of the best and most qualified locksmiths in New Berlin, you’re sure to be able to get what you want and need. There is no other locksmith service in New Berlin that is as qualified to service your locksmith service needs than we are. We assure you; you’ll be able to get what you pay for. Pewaukee Pro Locksmith provides a full range of residential, automotive and commercial locksmith solutions to the Pewaukee, WI area. Our experts are here to help keep your family, employees and personal property safe and secure. We have many solutions that can help you, some of our most in demand services include deadbolt installation, high security locks, panic bars, access control solutions, master key creation and safe installation just to name a few. If you would like to discuss your available service options, please give a call to our knowledgeable staff. We are happy to provide free consultations to you, we want you to be able to ask any questions you may have without any additional pressure. Our company will also give you a free price quote. We strive to make sure our rates are always affordable. We don’t want you to have to cut corners with your loved ones safety. Our experts also work with the best manufacturers and brands in the industry, such as: Arrow, Yale, Kaba, Mul-T-Lock and Ilco just to name a few. We want to make sure we are working with the most reputable brands on the market, so that any hardware we install will last for years to come. If you ever find yourself in the position of being locked out of your car, residence or commercial property, please give our expert team a call. Regardless of the time of your emergency, our team can help. We provide 24/7 emergency assistance. Just give us a call and tell our friendly staff members what your situation is. We will dispatch someone out to you right away. Pewaukee Pro Locksmith provides service you can depend on. Muskego Locksmith Company is here to provide residential, commercial and automotive locksmith services to the Muskego, WI local area. We offer a variety of services to help keep your home, vehicle and business feeling safe and protected. Commercial customers appreciate our safe installation services, great for a place to securely keep important documents, valuables and cash. Residential customers take advantage of our full range of services including deadbolt installation, patio door locks, and lock re-keying. Our automotive services include transponder key duplication or reprogramming, key extraction or even ignition cylinder change. Our expert staff regularly works with the top brands in the industry, manufacturers such as: Baldwin, ASSA, Mul-T-Lock, Schlage, Kwikset and Ilco. If you find yourself in a stressful situation, such as locked out of your home, office or car, please give our team a call. We offer 24/7 emergency assistance, so you can rest easy knowing help is just a phone call away, no matter the time. Our licensed and insured staff is ready to assist you, so if you’d like to discuss possible ways to upgrade your homes security please give us a call. We offer free consultations and free price quotes, so you can feel free to ask us all the questions you’d like. Once you speak with us, we know you will be impressed with our professional service. Once you see our quotes, we know you will be impressed with our affordable rates. When you are looking for a quality locksmith, depend on the team at Muskego Locksmith Company. Greendale Focused Locksmith provides residential, commercial and automotive locksmith services to the Greendale, WI community. If you are in need of a locksmith, please don’t hesitate to give us a call. If you are noticing that your locks are acting up due to age or natural wear and tear, we can discuss your available options with you. Or, if you are considering upgrading the security measures that are currently in place at your residential or commercial property, please give our team of licensed and insured technicians a call. We always offer free consultations, so please ask us any and all questions you have on your mind. We will also provide you with a free price quote. We want you to have full confidence in us and our services before you make any commitments. Some of our most in demand services include lock changes, deadbolt installation, keyless entry systems, safe installation, master keys and transponder key duplication. We also offer lockout services for your home, business or automobile. If you get locked out, please give us a call regardless of the time. We offer 24/7 emergency assistance services, and can dispatch a technician out to you quickly. Our skilled team of experts regularly works with the industry’s most trusted brands, such as: Schlage, Falcon, Baldwin, Yale, Kwikset, Ilco and Medeco, just to name a few. When you are searching for a reliable locksmith that will provide service you can depend on, please give the team at Greendale Focused Locksmith a call. If you are in the Shorewood, WI area, and are looking for residential, commercial or automotive locksmith help, please give a call to the qualified team at Locksmith Shorewood. We offer a full range of services to help keep your property safe and secure, a sample of these services include: safe installation, deadbolt repair and installation, transponder key duplication, intercom systems and lock changes. We also offer lockout help for your car, home and commercial property. If you find yourself in an urgent situation after business hours, there is no need to feel stressed out. Our company proudly offers 24/7 emergency assistance to the local area. We want to serve the community, and we know that our services are sometimes needed outside of regular hours. We don’t want you to cause any potential damage to your property, so please give us a call. We can get an expert technician out to you quickly. 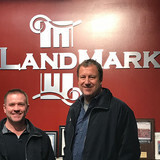 Our staff regularly works with the top manufacturers in the industry, such as Schlage, Falcon, Baldwin, Ilco, Medeco, ASSA and Arrow just to name a few. If you are thinking of enhancing the security measures in place at your commercial property or residence, please give us a call. We offer free consultations, so please ask as many questions as you’d like. We will also provide you with a free price quote. We know that you will find our rates to be very affordable. If you’d like to discuss possible security solutions, please give us a call at Locksmith Shorewood. Caledonia, WI locals know that when you are looking for a dependable locksmith, to make you feel safe and secure, then the place to turn to is Caledonia Sharp Locksmith. We are a local business, so we understand the needs of the local community. Our company offers residential, commercial and automotive locksmith help. And, should an emergency arise, you know that our team will be there quickly to help. That is why we offer 24/7 emergency assistance to the local area. We know that lockouts don’t happen on a schedule, so we made sure to put a process in place to offer help to you should you find yourself locked out of your business, home or car late at night or in the early morning. In addition to our lockout service, we offer a full range of locksmith services, including deadbolt installation, patio door locks, keyless entry systems, access control measures, safe installation and lock changes just to name a few. Our team is knowledgeable, and regularly works with industry leading manufacturers such as: Schlage, Baldwin, ASSA, Kwikset, Mul-T-Lock, Yale and Falcon. We believe that using the industry’s best products will help add lasting results to our installation services. If you would like to discuss your options, just give us a call. We pride ourselves on customer service - that is why we provide free consultations and free price quotes to you. When you are looking for a locksmith to provide service you can trust, then rely on the pros at Caledonia Sharp Locksmith. Mequon Diligent Locksmith proudly serves Mequon, WI and surrounding areas. We are pleased to provide residential, commercial and automotive locksmith services. Our expert technicians are licensed and insured, and we can provide you with installation, repair and replacement services you can rely on. The top priority for many people is security. Everyone wants to feel safe and secure when they are in their home or business. You also want to make sure that your car is properly protected. Our company offers a wide range of services including: deadbolt installation, high security locks, safe installation, transponder key reprogramming, patio door locks and cabinet locks among others. We also offer lockout help. If you find yourself on the wrong side of your locked home, car, or business and you don’t have your keys with you, the situation can be very stressful. That is why we offer 24/7 emergency assistance. Just give us a call, no matter what time it is, and we will send an expert technician out to help you gain access to your property quickly. When it comes to installation, we are able to work with all manufacturers, but we recommend the most reputable brands on the market, such as Schlage, Falcon, Baldwin, ASSA, Ilco and Medeco. We want your locks to last for years, that’s why we work with the best brands in the business. If you would like to discuss your available options to improve the security of your property, please give us a call. We offer free consultations and free price quotes. Ask us all the questions you would like. When you are looking for quality locksmith services, give a call to Mequon Diligent Locksmith. When you need a residential, automotive, commercial or emergency locksmith in Kenosha, WI, call on Kenosha Locksmith CO. With our team of highly skilled and qualified locksmiths, we’re able to assist you with your locksmith service needs no matter the extent of your locksmith problem. Our locksmiths work hard to make sure they are able to effectively address your service needs. You don’t have to continue looking for the help that you need when we are only a phone call away at Kenosha Locksmith CO. Our locksmiths take their time to make sure the job is done right. When they arrive to your location, they have everything they need to provide you with the help that you need. No matter where you are in Kenosha, you can always count on our locksmiths to be there when you need them, 24-hours a day, 7 days a week. Give us a call and allow us to prove that we are the most qualified for the job. Our locksmiths have received professional training and they have the skills needed to effectively address your locksmith service needs. When it comes to the price of your services, you can receive services at the most affordable prices around. Our locksmiths show you just how effective they are with every job they perform. You will know that your money is well-spent when you turn to Kenosha Locksmith CO. to help with your locksmith service needs. They have the experience and the training needed to handle the job. What kind of services do Waukesha door dealers provide? Door dealers are responsible for a variety of services, including door installation, replacement, door repair and custom door design. If you need a new door, Waukesha, WI door dealers will help you determine what kind you need, as well as shape, color, size and more. From barn doors to French doors to front doors, these professionals can help you choose, install and maintain your door investments. Wood doors are beautiful, versatile and tend to be the most popular choice for both interior and exterior doors; they are easy to custom build, and include oak, cherry, walnut, mahogany, maple, fir and pine. Some standard wood doors have MDF cores wrapped in wood veneers, which minimizes the chances of warping as real wood expands when wet and contracts when dry. If your heart is set on a wood door but you think the Waukesha, WI climate might cause it to warp, talk to your door professional about a furniture-grade veneered door. Aluminum doors have an insulated core and come in a variety of colors and finishes. With a baked-on enamel finish, they won’t rust or need repainting, and many come with a 20-year warranty. Next to wood they are the most expensive and have to be custom-made. A Waukesha, WI door dealer can help you find a reputable aluminum door manufacturer. Find door dealers and installers in Waukesha, WI on Houzz. Look in the Professionals section of our website and search for Waukesha, WI door dealers and installers. Read reviews, look at project photos and see how a pro can help with your home improvement project.